A charcoal of the young Bishop Marello. As time passed and the Company of Saint Joseph grew in number, Father Marello changed their name to the “Oblates of Saint Joseph” and he became the Bishop of the neighboring Diocese of Acqui. The work of the Oblate Priests and Brothers now included assisting the local bishops and parish priests in whatever ways they might need help and they worked diligently to develop a vibrant youth ministry which focused primarily on religious education. 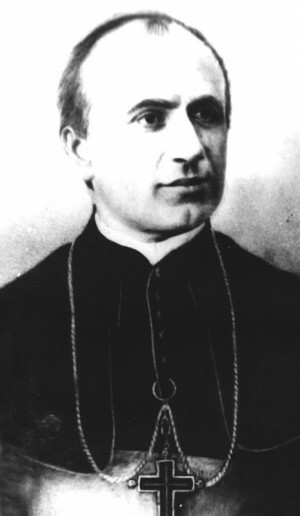 Bishop Marello died on May 30, 1895, at 51 years of age. Then the most wonderful news of all! On Sunday, November 25, 2001, the Solemnity of Christ the King, at 9:30 a.m., the Pope celebrated Mass in the Vatican Basilica during which he canonized Giuseppe Marello (1844-1895), bishop, founder of the Congregation of the Oblates of St. Joseph, along with: Paula Montal Fornes de San Jose de Calasanz (1799-1889), virgin, foundress of the Institute of the Daughters of Mary, religious of the Pious Schools; Leonie Francoise de Sales Aviat (1844-1914), virgin, foundress of the Congregation of the Sisters Oblates of St. Francis de Sales; and Maria Crescentia Hoss (1682-1744), virgin, nun of the Third Order of St. Francis. 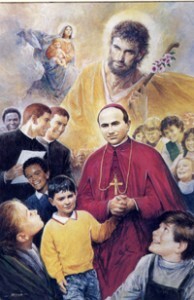 Saint Joseph Marello is now presented to the entire Church as a model of sanctity and an intercessor in Heaven. Brief Memories – A biography of Joseph Marello by Fr. John Baptist Cortona, O.S.J. A Life for God and Neighbor – A biography of Joseph Marello by Maria Angela Verna and Fr. Gennaro Citera, O.S.J. Approved prayers to St. Joseph Marello.